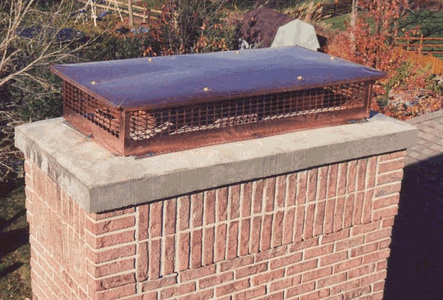 Chimney Depot prides itself on the quality of our chimney caps and product line. Our flexible manufacturing facilities allow us to customize any one of our stock model caps to any lenght, wide, height or diameter both in stainless steel or copper. For a price quote on a custom cap please email us with your exact dimensions and specifications. All of our custom caps are made and shipped within 3 days of your order. Please remember that custom caps are made to your exact dimensions and specifications; therefore are a nonrefundable item. Just Contact Us for more information!